Captain Cook Cruises has announced it will operate two unique seven night Renmark cruises this year on the Murray River, aboard the PS Murray Princess. Both cruises will run in December with the first cruise departing Friday 02 December and the second cruise departing Friday 09 December. The Renmark cruises take in over 420kms of the Murray River, passing through five locks from Mannum to Renmark which is near the Victorian border. Following in the wake of the great 19th Century pioneers the PS Murray Princess will negotiate massive sandbars, hidden reefs and submerged forests on a journey that has taken months to prepare. 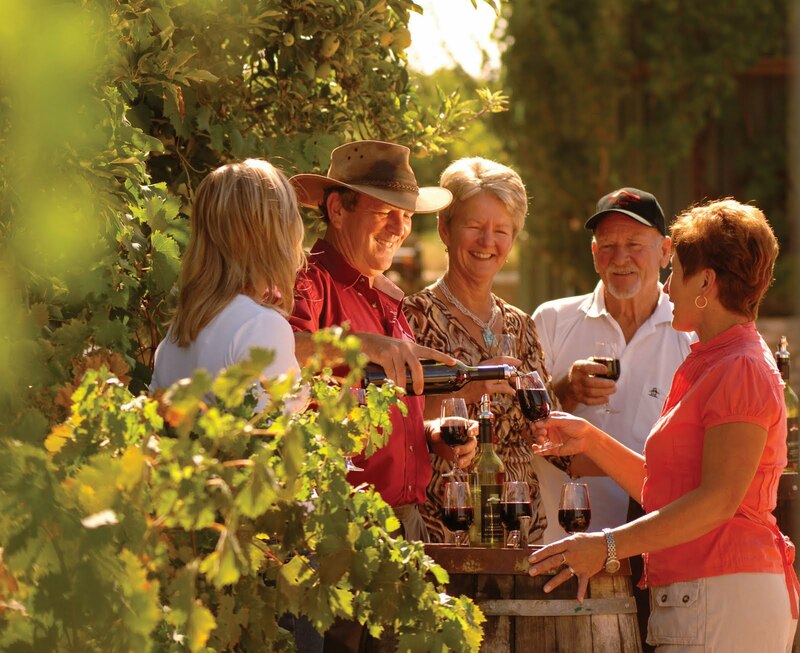 The cruise will pass through Portee Bar, Kingston On Murray, Cobdogla and Moorook and passengers will get the opportunity to visit Burk Salter Vineyard at Blanchetown, take part in a cellar door wine tasting, learn about Australian history at the Morgan Museum in Morgan, explore the township of Waikerie, visit the picturesque river town, Berri, enjoy a scenic tender boat ride up the river and visit historic Loxton where the stories of our early settlers are displayed in over 45 buildings and exhibits. With the Renmark cruise only occurring when the river conditions are right, it's the unknown challenges that make this voyage one long great rive adventure. Succeed or fail in reaching the destination, passengers will definitely have a whole lot of fun along the way. Passengers have an option of two seven night Renmark cruises, with the first cruise departing Mannum on Friday 02 December at 4.30pm and arriving at Renmark on Friday 09 December at 9.00am. The second cruise departs on Friday 09 December from Renmark at 3.30pm and arrives at Mannum on Friday 16 December at 9.00am. Prices for the seven night Renmark Cruises start from $1599 per person twin share and include accommodation, all meals, guided nature walks and eco-excursions, onboard presentations, use of ship's facilities, the Captain's Dinner and Cocktail Party, live entertainment and complimentary scenic coach transfers from Adelaide or car parking in Mannum.